The very best twin photo wins a signed copy of ME2 and a $50 Amazon gift card! Competition runs from April 17 to May 16 2014 inclusive. 1. Entry to this competition is open to residents of the United States of America, aged 14 years or over. Employees of Jourdan Cameron and any agency involved in promoting this competition (and their immediate families) are ineligible to enter. Each entry must be entered in accordance with these terms and conditions. Jourdan Cameron may in its discretion refuse to award any prize to any entrant who fails to comply with these terms and conditions. 2. By entering this competition, each entrant agrees to be bound by these terms and conditions. 3. Entry into this competition is free. 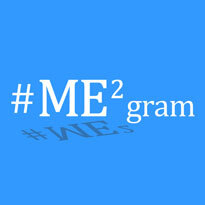 e) Comply with the #ME2gram Instagram® Competition Terms and Conditions. Incomplete, incomprehensible or non-compliant entries will be ineligible for acceptance into the competition. This is the only method of entry into this competition. 5. Entrants may enter this competition more than once. Identical entries received from multiple Instagram® accounts will be disqualified. 6. Entrants may only enter original photos in this competition. Each entrant warrants that his or her entry is complete and accurate. 7. This competition commences at 00:00:00 AM EST on 17 April 2014 and expires at 11:59:59 PM EST on 16 May 2014. 8. Any entry posted after expiry of the competition period will be invalid. No responsibility is accepted for late, lost, delayed or misdirected entries. 9. Winners of the competition will be announced on 28 May 2014 via the ME2 Facebook® and Instagram® pages. 10. This competition is not a game of chance. Each entry will be judged by a panel of judges. The decision will be final and binding on all entrants. No correspondence will be entered into. 11. Entries will be judged on the information provided in the entry submission. The judges will evaluate all entries fairly and impartially according to competition criteria which includes originality of idea and creativity. 12. If anything occurs that prevents or hinders Jourdan Cameron’s ability to conduct the competition or to deliver the prize to the prize winner, Jourdan Cameron may, in its discretion, cancel the competition and recommence it at another time under the same terms and conditions or select another winner. 13. Jourdan Cameron is not responsible for any incorrect or inaccurate information or other errors (whether technical or otherwise) that may occur in the course of conducting this competition. Jourdan Cameron accepts no responsibility for any error, omission, interruption, deletion, defect, delay in operation or transmission, communications line failure, theft or destruction or unauthorized access to or alteration of entries. 14. To the full extent permitted by law, Jourdan Cameron will not be liable for any injury, damages, expenses, or loss whatsoever (whether direct or inconsequential) to persons or property as a result of any person entering into the competition or accepting or using the prize. 15. Jourdan Cameron reserves the right, at any time, to verify the validity of any entry or claim for the prize (including, without limitation, identity and other personal details of the entrant). 16. Any entrant who submits an entry or claim for the prize that is false or is not in accordance with these terms and conditions, or who tampers with the competition process in any way, will be disqualified. 17. Any data submitted by entrants will be used only for the purposes of running the competition, unless otherwise stated in the entry details. By entering this competition, all entrants consent to the use of their personal data for the purposes of the administration of this competition and any other purposes to which the entrant has consented. 18. This competition is in no way sponsored, endorsed or administered by or associated with Facebook® or Instagram®. You acknowledge that all information and material that you submit to enter this competition is submitted to the promoter and not Facebook® or Instagram® and you agree that Facebook® or Instagram® shall not be liable to you in any way in respect of this competition. 19. By entering this competition, entrants will be eligible to win: One (1) signed copy of ME2 and one (1) gift card to the value of $50.00. 20. All prizes must be claimed by June 20, 2014 upon notification of winning. Prizes cannot be claimed after that date. 21. No prize can be transferred, exchanged or redeemed for cash. If the prize becomes unavailable, Jourdan Cameron reserves the right to substitute a product of equal value or specification, subject to any applicable laws or written directions from a regulatory authority. April 17, 2014 in Me Squared.